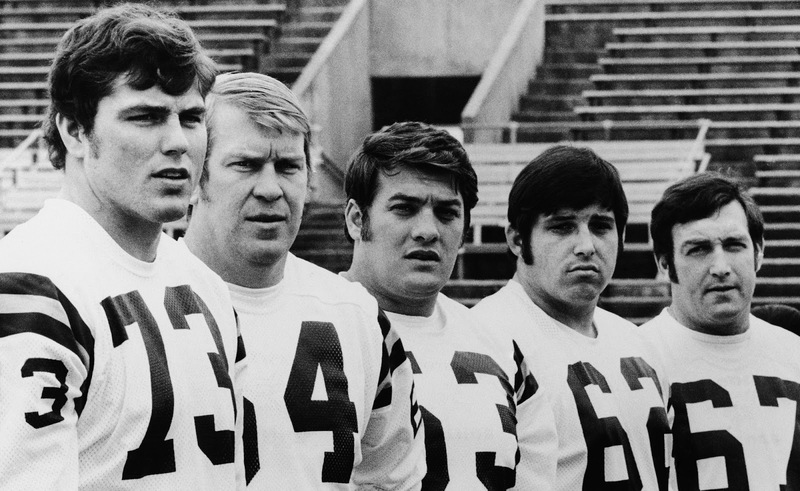 Vikings great Grady Alderman has passed away at the age of 79, according to a source. Updated: April 6, 2018, 11:15 a.m.
Vikings great Grady Alderman has passed away at the age of 79, according to a source. Alderman, an offensive tackle, played in three Super Bowls and six Pro Bowls during his 16-year NFL career. His career in purple spanned from 1961-1974, where he earned First-Team All-Pro honors in 1969. 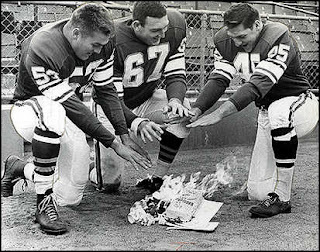 Alderman was one of the “original” Minnesota Vikings players. He was acquired by the Vikings from Detroit during the expansion draft in 1961. He became one of the first players to sign with the Minnesota Vikings organization. Alderman was a core player on an offensive line headlined by Pro Bowlers Mick Tingelhoff, Milt Sunde and Ron Yary. Alderman was selected to five consecutive Pro Bowls as a left tackle, flying under-the-radar as one of the top offensive linemen of the 1960s era. During his 16 seasons in the NFL, Alderman was on some of Minnesota’s best teams in franchise history. The Vikings won 12 games three times with Alderman in the trenches. He also played in three of the team’s four total Super Bowl appearances. In addition, he was a starter on the Vikings’ NFL Championship team in 1969 before the AFL/NFL merger. Alderman was one of five top caliber offensive linemen guiding Bud Grant’s teams in the late ‘60s. Alderman suited up for the Vikings’ first official game on Sept. 17, 1961. He was the starting left tackle as the Vikings upset the Bears 37-13 behind four touchdown passes from Fran Tarkenton. At just 6-foot-2, 247 pounds, Alderman protected the blindside of Tarkenton during nine of the Hall of Fame quarterback’s 13 seasons in Minnesota. 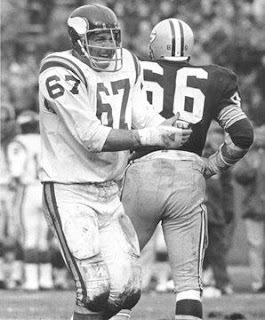 Grady Alderman is one of the often forgotten heroes of the Vikings’ most dominant run as a franchise. Many people argue he is worthy of Hall of Fame recognition, similar to his teammate, Mick Tingelhoff, who entered the Hall of Fame in 2015.
before a Vikings game at Met Stadium.